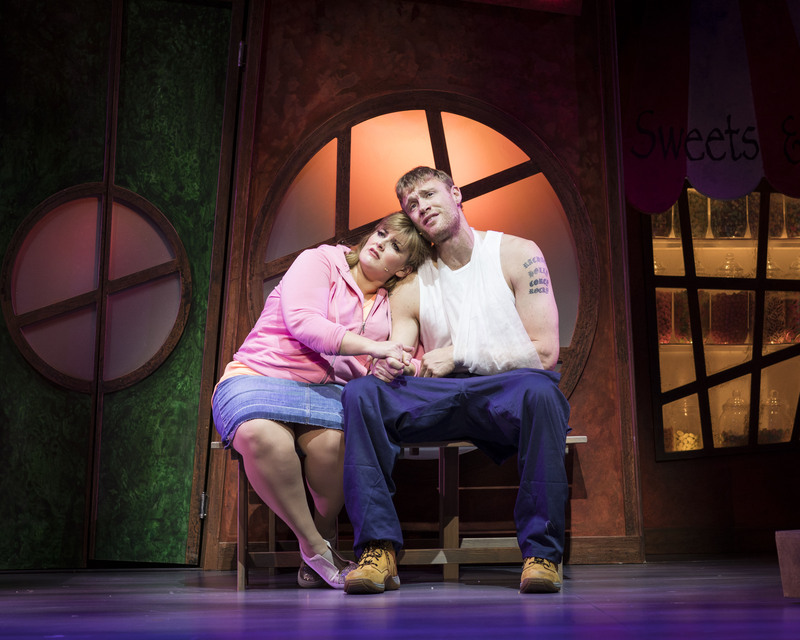 Review: Fat Friends the musical. Nottingham Theatre Royal. – East Midlands Theatre. Review: Fat Friends the musical. Nottingham Theatre Royal. Based on Kay Mellor’s popular ITV show, Fat Friends the Musical seems a natural extension of that series, featuring larger than life characters. Set in Headingley, Leeds, it follows the lives of several members of a local slimming club in their attempts – or lack of attempts – to lose weight. The story is simple enough and there are few surprises in the plot but it is a warm-hearted show and the camaraderie of the cast is clear. 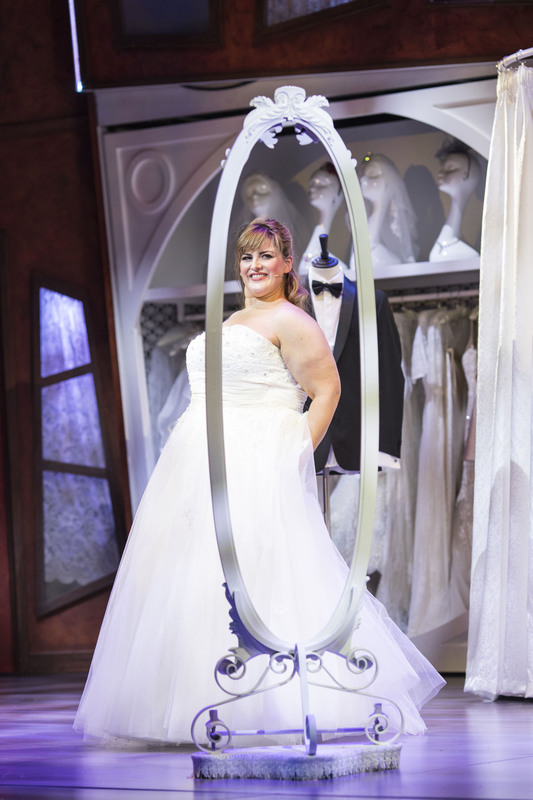 The drama centres on Kelly, played by Jodi Prenger, who is actually perfectly happy with herself until she tries on her ‘dream’ wedding dress. She has 6 weeks to lose weight to fit into the dress. Prenger, who took the role of Nancy in Oliver! after winning BBC1’s I’d Do Anything, is perfect in the role, bringing a down to earth charm and effortless vocals. Kelly is confident, radiant and comfortable in her own skin and it is the loss of this self-confidence that brings some depth to the show. Whilst the ambitions of the storyline don’t go much beyond meeting the ‘perfect man’ and a dream wedding, the subtext is clear that we should all be more accepting of the fact we come in all shapes and sizes. Prenger is supported by an equally well-known cast but, unlike some ‘celebrity’ casts, this one works beautifully together, with no weak links. Andrew ‘Freddie’ Flintoff plays Kelly’s hero Kevin with surprising skill and charisma. His singing voice may not have the range or power of those around him with more training but it has a lovely warm tone and he sings with great expression. Another famous face, Sam Bailey who won the X Factor in 2013, plays Kelly’s Mum Betty. Bailey suits this gritty northern Mum and her voice is clear as a bell. ‘If you don’t want to Marry Him’, a duet with Prenger in the second act, is a highlight of the show both emotionally and musically. Both women have glorious singing voices and this is designed to show them off. 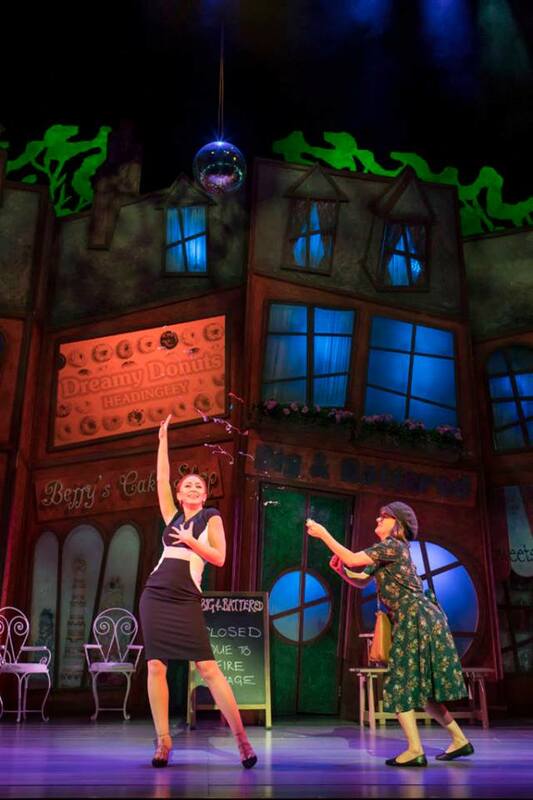 The song is a real stand-out in itself, thanks to the writing talents of Nick Lloyd Webber, who has penned all the original music in the show. In the sub-plot, the fitness queen and owner of a bridal boutique, Lauren, played by Natalie Anderson, falls for the local vicar without realising it. Once again, Anderson has a beautiful singing voice and fizzes with nervous energy throughout, creating a lovable and ditzy Lauren. Her love-lorn vicar is Paul, played by Jonathan Halliwell, another actor with a wonderful singing voice and a lightness of touch in his portrayal. The celebrity cast continues with Natasha Hamilton from Atomic Kitten and Kevin Kennedy from Coronation Street giving great characterisation. However, the whole of the cast work very hard, singing, dancing, moving props and give a hugely confident group performance. The choreography by Karen Bruce works really well, combining the realism of salsa-beat Zumba moves, ‘A Chorus Line’ type hat routine and a psychedelic song called ‘Chocolate’ that is surely sponsored by Cadbury’s. So, for all the gritty northern realism, it has the escapism allowed within the musical genre. Those who know and love the ITV series will surely find everything they hoped for and more in this musical version. For those with no prior knowledge, Fat Friends the Musical offers an action-packed, entertaining, value for money show. It is slick, polished, slightly rude and great fun. Runs at Nottingham Theatre Royal 26-31 March. M.A.D.D Boys Workshop review by participant Robert McAuley. Review: La Malade Imaginaire by Theater Die Kaeuze at Lace Market Theatre Nottingham.